Check whether everything is moved from a demo. You have no several files of control of screens. 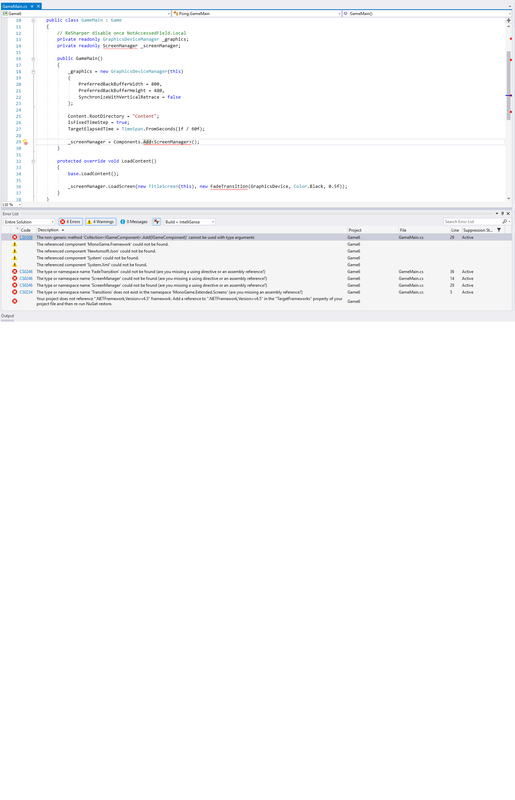 (ScreenManager.cs) Or namespace does not coincide.